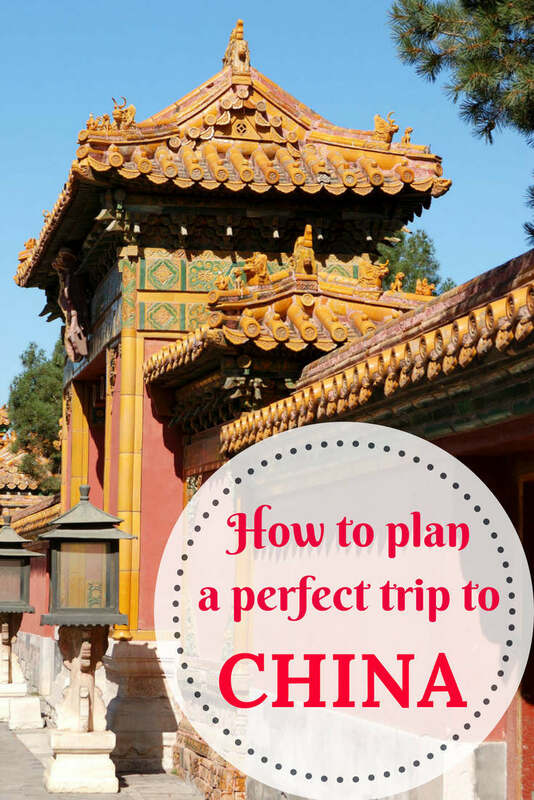 Are you thinking about planning your first trip to China and are confused? We hear you. The Kingdom of the Middle is huge, fascinating and can certainly be overwhelming. 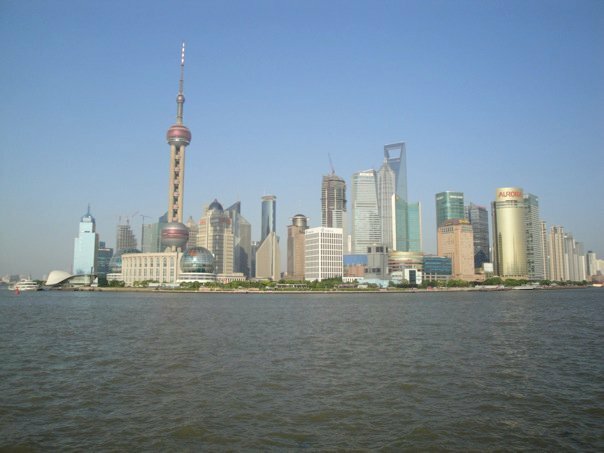 It’s no secret that we love it and the year I spent in Shanghai was one of the best of my expat life. 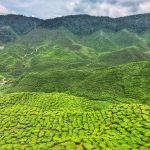 Even though it might seem intimidating, don’t despair, we are here to help you in the big task of preparing for a holiday in China so that your adventure runs smoothly and you will enjoy what this beautiful country has to offer. China is an amazing country and absolutely worth a visit, even if it’s only a stopover on a longer trip to Asia. If it’s your first time visiting, follow these ten tips to make your first trip a success. China’s visa policies are quickly evolving. Depending on where you go and how long you’ll stay, you may not need one. If you’re planning a quick visit to Beijing, Shanghai, or Guangzhou, you might only need your passport. Most visitors to Hong Kong and Macau only need a passport too. If you plan on staying longer or visiting other cities or landmarks, odds are you’ll need a tourist visa. Generally, to obtain a tourist visa you will need to map out your trip ahead of time. The embassy needs all your flight and hotel reservations before issuing the visa, so you should probably start planning several months in advance. Websites like Booking.com, Hotels.com, and Trip.com can help you get your hotels and trains sorted out. Visit the website of the Chinese embassy in your country to determine your specific requirements. Know that, although Hong Kong, Macau, and Taiwan are part of China, visiting them is considered leaving China so consider getting a multi-entry visa. China can be overwhelming even after you do all your research, plan your trip, and know to expect culture shock. It’s big, it’s crowded and it moves at a different pace than many other places. You probably won’t forget the Forbidden City, but you may forget smaller to-do items, like visiting the Llama Temple or seeing an opera if you don’t write them down. When planning your first trip to China, make a list of the things you want to do in each city. Don’t stick to a rigid schedule if you can help it because the weather may foil your plans. The same goes for food – have an idea of what kind of food you want to eat in China while you’re there so that when you’re out and about you can stop when you see a restaurant that looks good. Hotpot – where you cook meat and vegetables in broth at your table – is popular everywhere, and if you’re in southern China make sure you eat dim sum. China is massive. You can have whatever style trip appeals to you. 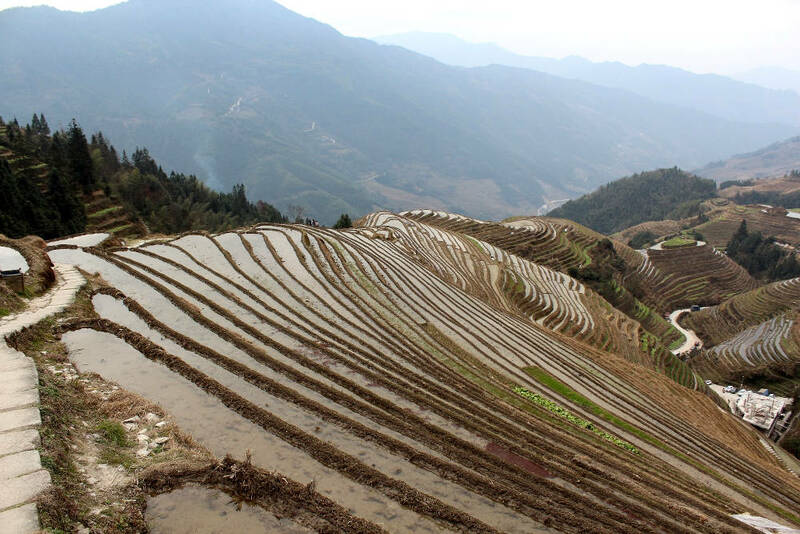 If you love the outdoors and hiking, visit the Longji Rice Terraces near Guilin, travel to Lantau Island and go for a very intense hike/climb along a remote area of the Great Wall on the outskirts of Beijing. If you’re a city person, wander through the Bund in Shanghai or take a Big Bus tour through Hong Kong. Ancient history lovers should visit the Terracotta Warriors in Xi’an and Guangzhou to walk through the ancient tomb of the Nanyue King. For more modern history, visit the Forbidden City and Summer Palace in Beijing. If it’s your dream to hug a panda, go to the Giant Panda Research Base in Chengdu. When you plan your trip, consider your personal comfort zone. If crowds aren’t your thing, you’ll have a rough time on any subway during rush hour. If Western-style facilities are non-negotiable, your hotel options are more limited away from major areas, but not completely restricted – even “small” cities have business hotels that will meet your needs. China has two major holiday weeks and several minor national holidays during the year when traveling is less than ideal. The Spring Festival/New Year’s holiday is in January or February, and the National Holiday is the first week in October. These are times where the country has five days off. Many people travel to visit family, so trains and buses will be very crowded. Tourist sites will also be crowded. However, traveling right before or after the holidays is a low season, meaning that you might get better rates on hotels. Other than these holidays, there’s no bad time to visit. Summers are hot and humid all over the country, but you can also swim, hike, and ride bicycles. Winters are cold no matter where you go, but you can ski, skate, and visit the Harbin Ice Festival to see amazing ice sculptures. Because China’s weather varies so much region to region, check the weather forecast before you go. People wear sweat pants, shorts, jeans, t-shirts, sneakers, and sandals, so don’t be afraid to bring clothes that you like and are comfortable. Hotels often offer laundry services or you can wash clothes in the sink. Packing an umbrella is always a good idea for sudden downpours. You’ll be able to buy almost anything you forget to pack, but, you’ll want to check for quality so your shoes or watch don’t break five minutes in. If you wear larger shoes or clothes (sometimes even medium-sized items), it may be difficult if not impossible to find what you need without having them custom made at tailors or fabric markets. Some, but not most establishments accept credit cards. Your options for payment will typically be cash or WeChat. When you arrive in China, exchange foreign currency for RMB at the airport or banks for a better value than getting it at home. You can use your foreign bank card to take out money at ATMs to replenish your cash supply (unless you go to Macau, in which case you want to bring enough cash with you to last for the duration of your trip there). Most people don’t use cash. Instead, they rely on mobile apps like WeChat, which you can hook up to your international credit card or Chinese bank account as a payment source. Depending on your travel style it may make sense for you to carry up to RMB 1000 (US $150) in cash on any given day if you plan on going shopping and eating at nicer restaurants, but you can spend less than RMB 50 (US $7.50) if you eat street food or at smaller establishments. For reference, water costs about RMB 5 for 1.5 liters and a can or bottle of beer can cost up to RMB 10 from a convenience store. 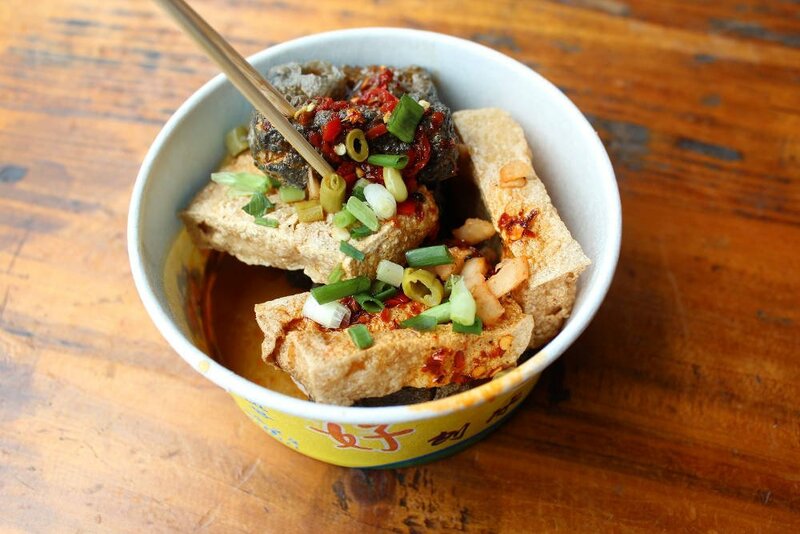 A McDonald’s value meal can cost up to RMB 50, while a meal at a hand-pulled noodle restaurant can cost RMB 18-25. It’s infinitely easier to navigate China with a local data plan. Neither Google Maps nor Baidu Maps (the Chinese competitor to Google) allow you to download maps for offline use, meaning that if you’re out and about, you can’t get directions unless you’re connected. With a data plan, you can get real-time traffic information on Baidu Maps, public transportation information, and even call a cab. Mobile phone stores litter the streets of any city. Hit one up for an hour when you get into town and walk out with a new SIM card that you can use in your unlocked phone. A data plan currently costs approximately RMB 68 (US$10) per month but you might need to pay RMB 100 or more as a deposit. If you’ll be here for a shorter amount of time, ask the company what your options are for payment and deposits. China has an excellent hospital system. Some clinics are specifically for foreigners. These are more expensive than the local hospitals but they have English speaking staff. Local hospitals may also have English speakers but bring a translator app or a Chinese-speaking friend in case. Pharmacies often have what you need over the counter, but you may need to rely on a translation app here too. Be aware that some things aren’t going to translate exactly. Instead of saying you have Athlete’s foot, say you have a foot fungus. Make sure you drink enough bottled water to stay hydrated during the day. In summers, where the temperature gets up to 40 degrees Celsius this could mean more than 2 liters a day. If tap water is boiled, it’s safe to drink but don’t drink the tap water directly. Talk to your doctor about any vaccines you need based on where you’ll be in China, such as Hepatitis A, B, Rabies, Typhoid, or Japanese encephalitis. Having an up-to-date tetanus shot never hurts. Bring any prescription medication you need and extra glasses. You can buy replacement contacts without a prescription at optometrists but they may need to order them depending on the strength. Tampons may be available at Watsons. Condoms are available at every checkout line in every convenience store and supermarket. Some western brands of OTC medicine like Robotism are available, but if there are brands you’re attached to, you should bring them. Although most younger people in China have learned English in schools and some are completely fluent, knowing some Mandarin can help immensely. You don’t need to take an immersion class unless that appeals to you, but learning simple greetings, and phrases like “I’m just looking” or “I want water (or beer or coffee or tea)” is useful. Numbers are also key when shopping because negotiating prices is standard in many markets. If you’ll be in China for some time, learning common characters will help you eat at restaurants that don’t have an English or picture menu. Often, menus will read: “BBQ cow meat rice,” “BBQ cow meat, noodles,” “BBQ pork meat, rice,” “BBQ pork meat, noodles,” etc. Recognizing a handful of characters can get you pretty far. Finally, if you have any food restrictions, then you should learn enough Mandarin to communicate this at restaurants. You can also carry around a paper with your restrictions or use a translation app to type out what you can and can’t eat. Google translate allows you to download its Mandarin dictionary for offline use. If you’re a native English speaker who has a bachelor’s degree, consider spending a year or more in China as a teacher. In recent years, China has seen a huge demand for English teachers in every school across the country. Teachers are generally paid wages that give a comparatively high standard of living, giving you room to save money and travel. Typically, teachers will have national holidays off and the standard school year has a generous summer break and winter break during Spring Festival / Chinese New Year. Living and working in China also connects you with your coworkers and neighbors in ways you wouldn’t otherwise be able to. You’ll get to explore more of the local life. Bio: Amelia is the blogger behind Here There Be Monsters travel blog. Now she lives in China with her husband and loves sharing stories of their adventures with family and friends.